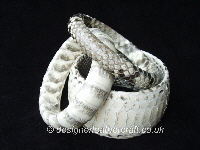 My snakeskin collection started with a python cuff bracelet and is growing quite quickly! I have not made jewellery before and am finding it quite addictive. I hope you like it. Skinny bracelets, cuff bracelets, bangles and wrap bracelets are all on the way to add to my original collection of individual leather necklaces and cuff bracelets with semi precious stones. 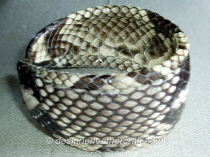 A selection of my jewellery will be in python snakeskin. 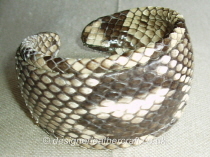 The shades in the natural python vary through greys and black to creams and dark browns. 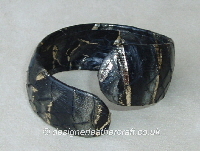 Natural marking also vary and attention is given to the positioning of the markings on each bracelet. 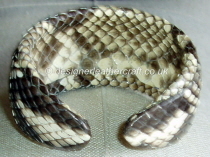 There is more information about the types of snakeskin available on my original snakeskin page. Here Comes the Snakeskin Collection ! !